Any great organization is great for one simple reason: Great people. San Diego Blood Bank is fortunate to have a rich history of lifesaving, but that’s in large part because of a lineage of trusted, passionate and dedicated staff. Example number one? Administrative professional (and donor experience extraordinaire) Beth Ann Ley. A lifelong San Diegan, her work impacts blood donors on a daily basis. 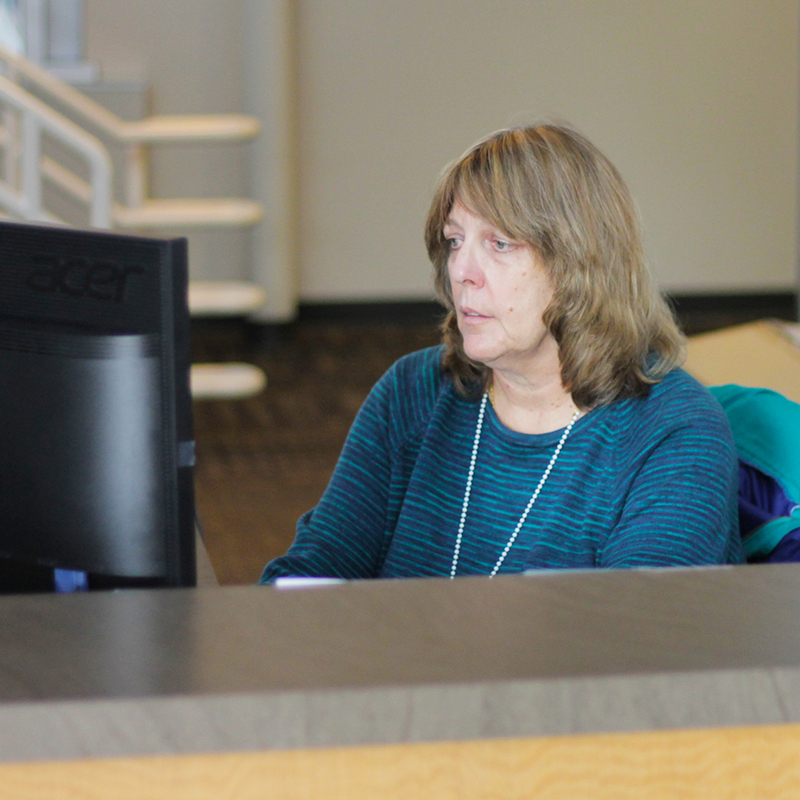 From helping donors access the online portal to schedule appointments to making sure they receive plaques, ten gallon hats and other incentives for ongoing donations, Beth Ann is a testament to personalized customer service. Whatever the situation, Beth Ann always keeps donors as her primary focus—she loves and cares for blood donors because they make our lifesaving work possible. In November, Beth Ann celebrated 43 years of dedicated service to San Diego Blood Bank and her San Diego community. Can you start by telling us what you do here at San Diego Blood Bank? I’m an administrative assistant to the Marketing Department and the main receptionist at the Gateway Donor Center. My main responsibility is managing the donor store and the 10 gallon hat and plaque program. When I was originally hired I worked in the nursing department. I worked in the nursing department for four years before transferring to the business office, where I worked for nine years. I then transferred into the Community Relations/Marketing Department. I’ve been in the Marketing Department for 30 years. This past November you celebrated an amazing anniversary, 43 years working at the San Diego Blood Bank. What are some of the most memorable moments you can tell us about? A couple of things come to mind: The PSA crash and 9/11. The community response to the PSA crash and 9/11 was incredible. The donors who waited hours to give blood to the vendors who provided food, water and special t-shirts—just incredible. The community really pulled together. I felt pride in our community. How have we changed over the years as an organization? Growth! When I first started we only had one fixed site and two bloodmobiles. Today we have six fixed sites and 10+ bloodmobiles. Plus, there’s the new “SDBB 2.0” vision—we’re becoming more than just a blood bank. You are passionate about giving a great experience to blood donors. What drives you to care so deeply about these individuals? Why am I passionate? How can I not be? We would not be here without our donors. They take time out of their day to make a difference—what a wonderful group of people! Each person can help save up to three lives. They truly make a difference in our community. How has getting to know blood donors shaped your life? I have met so many wonderful donors and volunteers. I consider them part of the San Diego Blood Bank Family. I enjoy hearing about what is going on in their lives. Who (or what) has been the biggest influence in your life? My parents. They were both passionate about their careers. If it hadn’t been for my father, I wouldn’t have heard about the opening at the blood bank. He worked as an engineer at General Dynamics for 40 years and my mother was a surgical nurse at Mercy Hospital for close to 40 years. What did I learn from my parents? Work ethic from my father. Compassion and understanding from my mother.